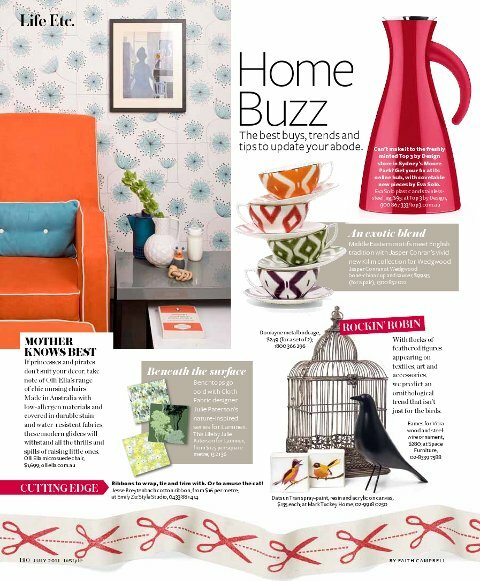 How very cool to see my scissors ribbon in the July issue of Australian In Style magazine! It's all thanks to the tireless efforts of Emily Ziz Style Studio - and you can read more about Emma Levitt, the force behind it, on Visi magazine's site. That's great news! I love In Style magazine. Congratulations. That looks awesome. Very well done. Wonderful stuff Jesse - congratulations! Your tape looks so good on that page. looks great on the magazine!! congrats jezze!!!! !